Welcome to the World of Jorth Campaign Setting: Introduction to Elves! Within the pages of this PAY WHAT YOU WANT product you will be introduced to the Elves of Jorth. 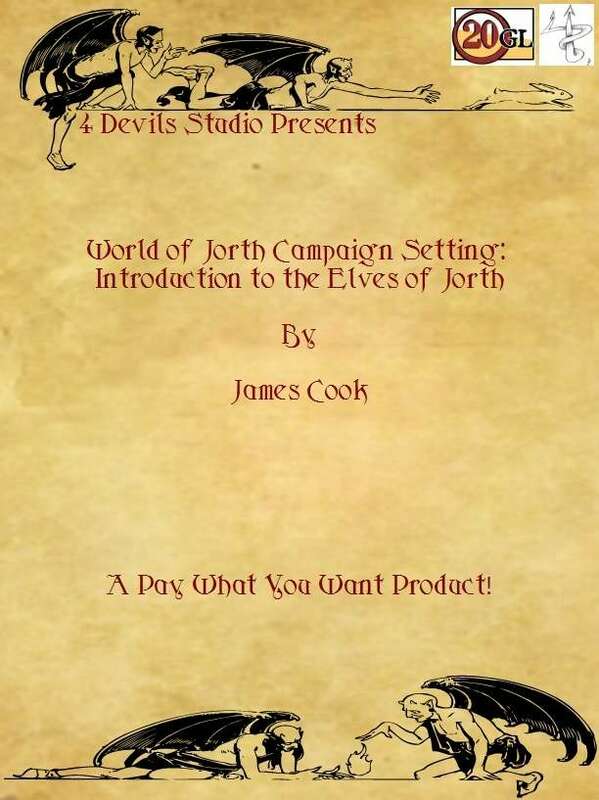 Watch for more World of Jorth Campaign Setting products from 4 Devils Studio!